Aaron Hendra is an Australian-born songwriter, singer and guitarist and is currently based in Dallas, Texas. Songwriting credits include the single “Don’t Let It End”, recorded by Aussie superstar John Farnham, featured on the multi-platinum album Romeo’s Heart (BMG, Australia). Hendra spent 13 years in Los Angeles honing his songwriting skills before moving to Texas with his wife in 2014. Also that year, he released his long awaited debut solo album OCTOBERSONG on his own independent label Give Records. 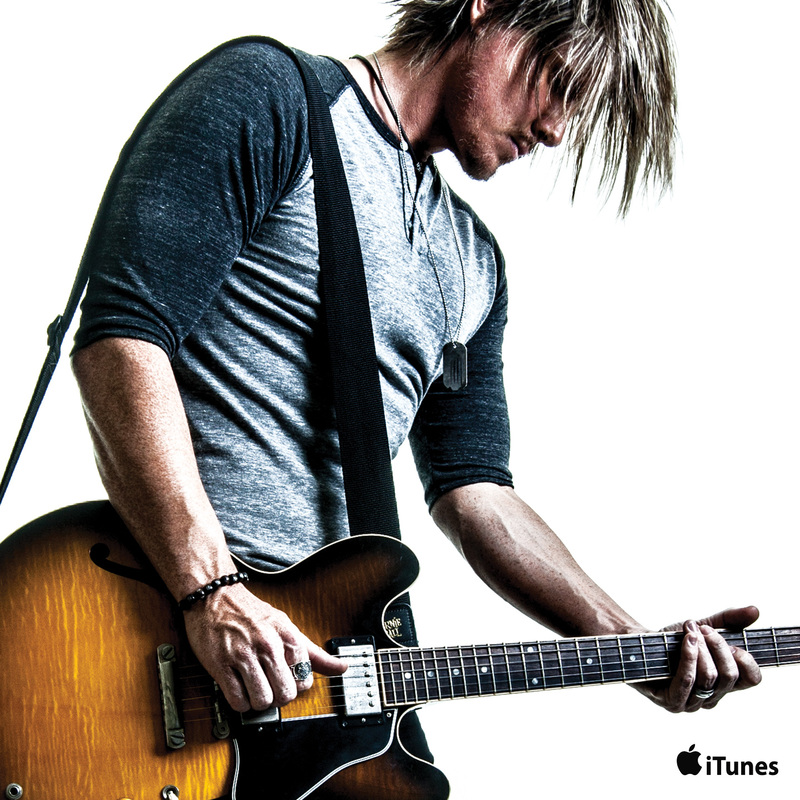 The album features 11 tracks written and produced by Aaron Hendra. Hendra’s songwriting career began in 1996 after dropping off a song demo to the record label office of Aussie superstar, John Farnham. Six weeks later, Farnham personally called the aspiring writer to let him know that he loved the song and planned to record it. 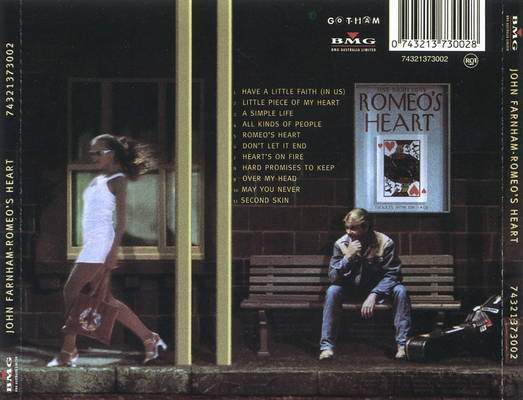 “Don’t Let It End” was featured on the multi-platinum album Romeo’s Heart. 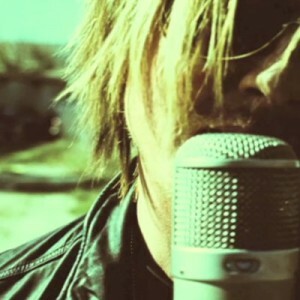 In 1999 Hendra co-wrote “Somebody Like You” with Mushroom Records artist Jimmy Christo. It went on to be featured as the end title cut for the Australian major motion picture comedy release titled “The Wog Boy” (2000). Shortly after, Hendra traveled to the US for meetings with record labels looked to land a deal. Hendra together with brother Russell, guitarist Ben Carey (Savage Garden) and drummer Jason Heerah managed to grab the attention of the then head of A&R for Hollywood Records, Rob Cavallo, who immediately offered them a deal. After signing, the group relocated to Los Angeles, CA and spent 2001 in production. A nine track demo CD written and produced by Hendra had excited not only Cavallo but many of the other execs at the label. Tumultuous months followed however, and unable to find the right producer to guide the project and help the young band navigate the process of making an album, they began to languish. This, combined with numerous key staff changes at Hollywood Records, resulted in the worst-case scenario for the young band and at the end of 2001, they were left with an unfinished album and no label. 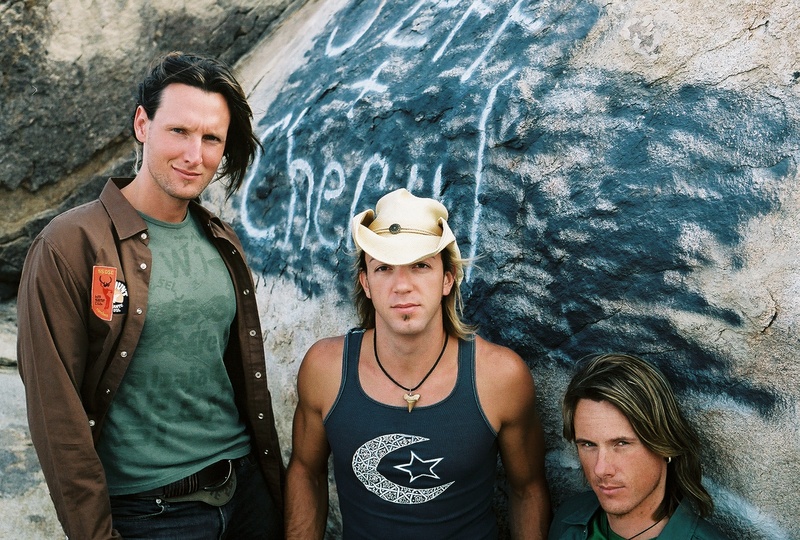 During initial US showcases, the group had made great impressions with several other labels including Warner Bros. Hendra and Carey spent 2002-03 working with A&R at Warner, signing a development deal. Under the new moniker OCIANIC, the band booked gigs and continued looking for opportunities in Los Angeles. 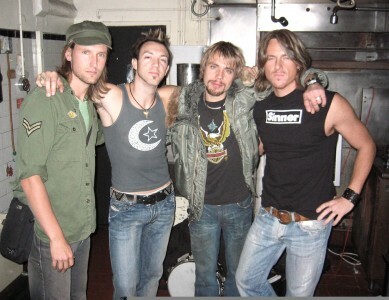 After releasing a limited pressing of their indie CD titled “U”, the group finally disbanded with Russell Hendra returning to Australia and Ben Carey taking the opportunity of a touring gig with the band Lifehouse. In February 2004, Hendra married TV Host and Actress Tiffany Bolton, and while continuing to pursue music now as a solo artist, he also worked a construction job to pay the bills. “Whenever having a career in music looked impossible, a new door would open. I kept going to the point where it almost seemed crazy, but from an early age, I truly believed I could write hit songs and was determined to forge a path doing that”, Hendra states. In 2007, an introduction by a mutual friend to entrepreneur Rick St George led to the second chance Hendra had been hoping for. 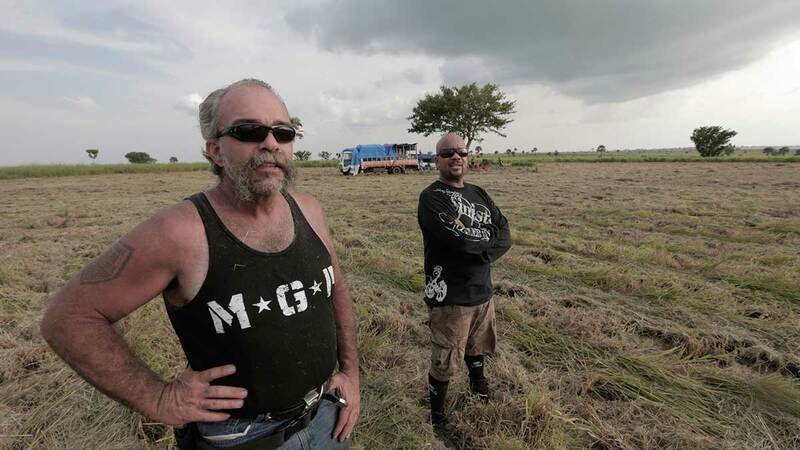 “Rick believed in me. He believed my music deserved a chance to be heard by the world and together we created Give Records”. Greatly boosted by St. George’s backing and belief, Hendra was able to finish the album started years earlier, and began creating a platform to release it. A state-of-the-art studio in Beverly Hills became their new home and headquarters during the recording process. 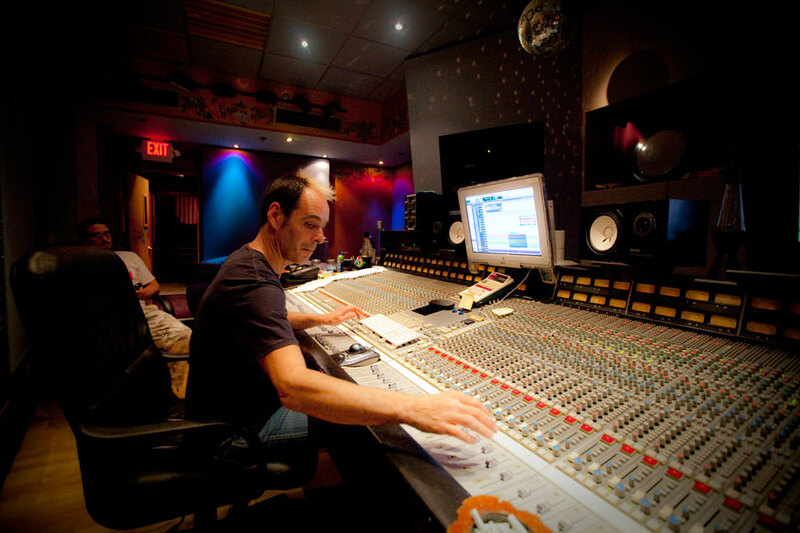 Engineer Dave Alhert at the helm in Give Recording Studios, Los Angeles, CA. Hendra re-connected with Gigi Gonaway, a veteran touring drummer introduced to him by friend and former band mate Ben Carey. Although unavailable in the past due to touring commitments with the Mariah Carey band, Gonaway had always shown interest in collaborating and had been supportive during the tougher times. 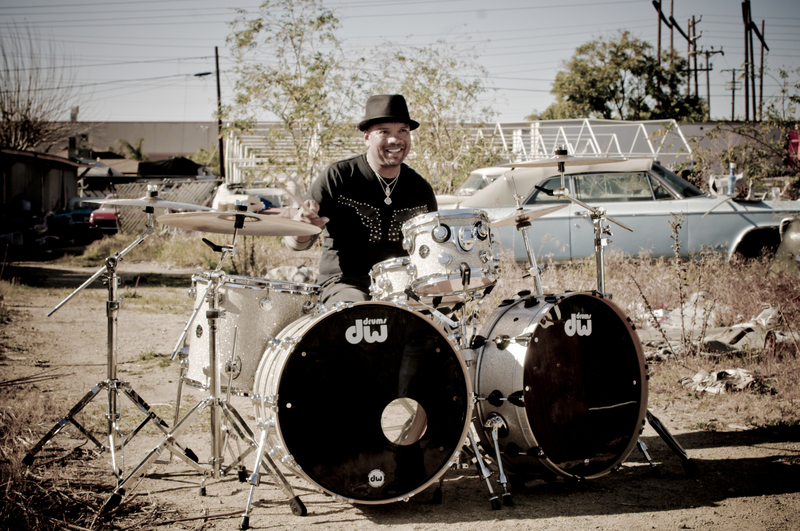 “I remember my first time seeing Gigi play at a small gig in Hollywood and thinking he was the most entertaining drummer I had ever seen,” explains Aaron. “We instantly became friends but didn’t join forces until years later.” Gonaway had always been a fan of Aaron’s songs, and with timing now on their side, the two forged a new collaboration calling it The Aaron Hendra Project. Gigi Gonaway on location of AHP’s “ALIVE” video shoot in 2012. On May 7, 2014 the debut album OCTOBERSONG was released worldwide by Give Records with digital distribution through The Orchard. It features eleven tracks written by Aaron Hendra. Although Hendra and Gonaway supplied all guitars and drums, a collection of other notable musicians added weight. 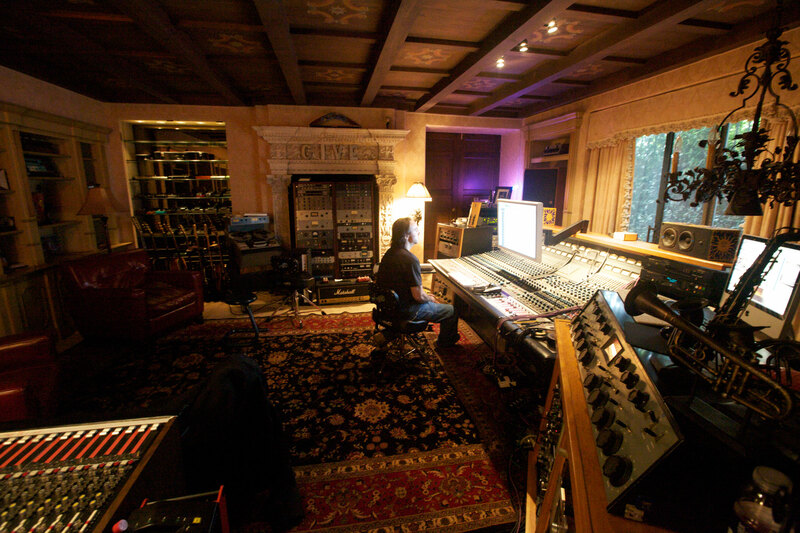 Rami Jaffee (Foo Fighters, Wallflowers), Marcus Brown (Seal, Madonna) and Jamie Muhoberac provided piano, keyboards and B3 on many of the recordings while Bass contributions on several songs came from Paul Bushnell (Tim McGraw) and Dorian Heartsong. Another highlight came via tracks recorded years earlier by a special twenty-four peice ensemble of string players made up of members of the LA Philharmonic. These strings, preserved from original tracks and flown in to the new versions, were arranged and conducted by David Campbell and recorded by Allen Sides at former the Cello Studios in Hollywood. 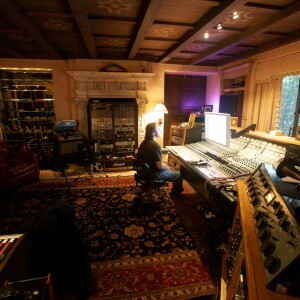 After a year and a half of production at Give Studios in Beverly Hills, mixing by Tom Lord-Alge at South Beach Studios followed and finally mastering by Ted Jensen at Sterling Sound, NYC brought the album to completion. 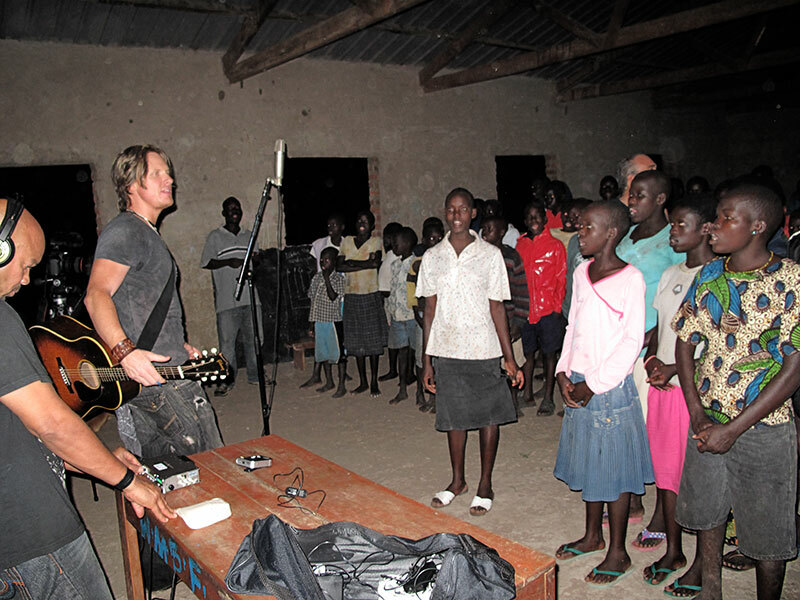 Aaron Hendra’s Light Up Tomorrow Project is the next chapter in his mission to support the ongoing work of Sam Childers and Angels of East Africa. 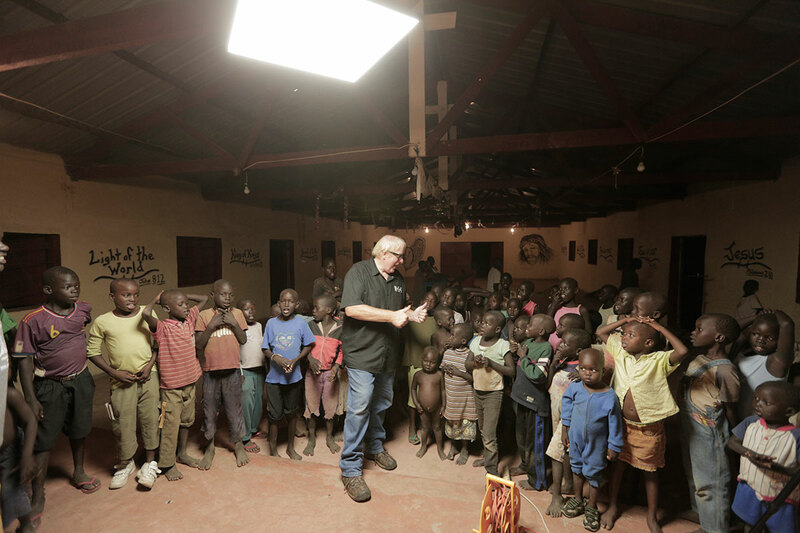 The goal is to build state of the art off grid solar power systems at all of the facilities built and run my Childers in East Africa. This will provide power for lights, refrigeration and many other necessities rarely available in these remote areas. AHP are currently busy raising the first $30k needed to complete the first installation. 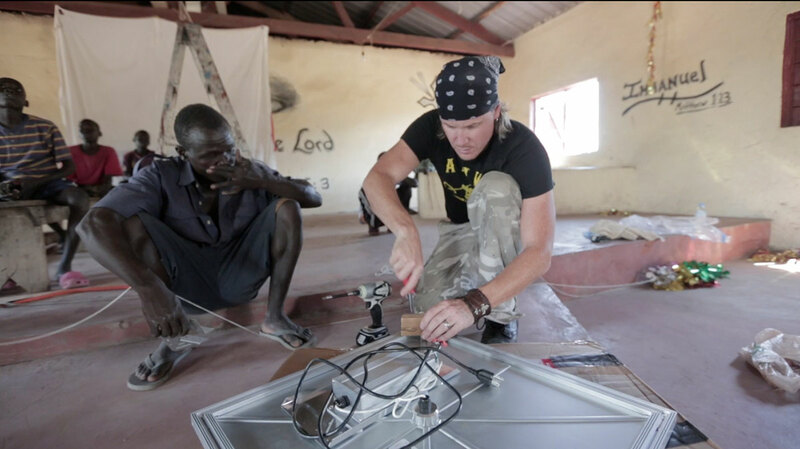 The video below shows Aaron installing the first LED light in the mud brick church at the Machine Gun Preacher’s Childrens Village in South Sudan.